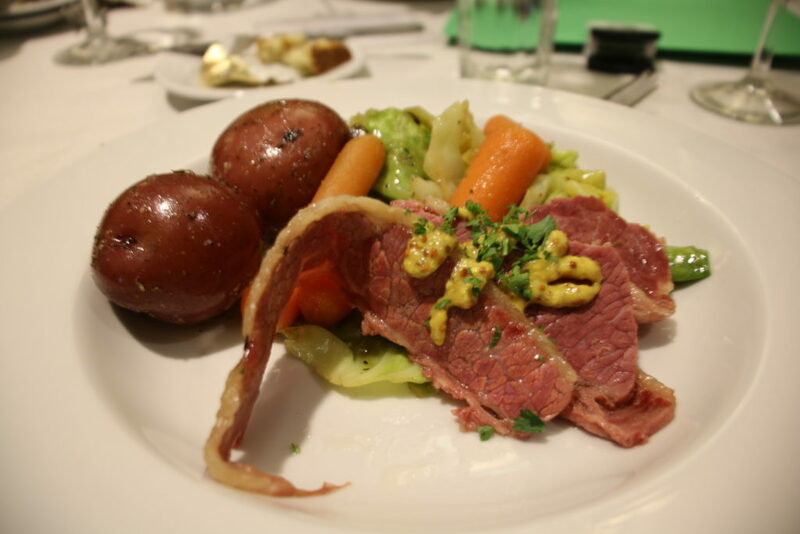 The Saint Patrick’s Celebration in the City of Santa Barbara is always packed with green fun, including parties, dinners at restaurants featuring Irish fare, parades, and special fundraising events with an Irish flavor. The City of Santa Barbara currently has a variety of Sister City Programs that tie a variety of world destinations with the popular California seaside city, and Dingle, Ireland is one of the committees who provided a unique St. Patrick’s Day celebration this year that included the very talented Ceile Rua Irish dance troupe from the Gaelic League, a delicious authentic corned beef dinner with Irish soda bread, salad made with garden greens, and Guinness to wash it all down. 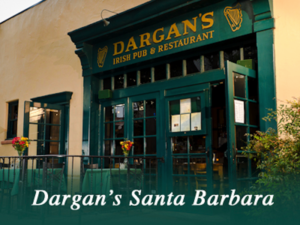 Cathy Murillo, Mayor of Santa Barbara, attended the 2019 Santa Barbara/Dingle St. Pat’s dinner and was charmed by the evening activities and said “it’s so nice to spend an evening with such a nice group celebrating St. Pat’s without anyone getting too tipsy.” Everyone tried to speak Gaelic using pamphlets from The Gaelic League of LA, and a few of the guests, including the Mayor, joined the Ceile Rua Irish dancers for a festive Irish reel. The dinner was prepared by the Pilgrim Terrace Chef Pete Clements and his team, with vegetables and lettuce coming from the abundant city garden located on the property. A large group of Dingle Committee members had traveled to Ireland last year as a group and during the party they shared tales of their wonderful experiences in their sister city Dingle. It was interesting to talk with board member John Mc Nally, who is extremely active in the Irish-American community in Ventura, California and is an active participant in the St. Patrick’s Day Parade in that nearby community. It was a grand evening full of fun for all who attended to share the evening with the Dingle Ireland enthusiasts. Barbara Ireland and her daughters Kathy and Mary got the Annual Barbara Ireland Walk/Run for Breast Cancer event off to a great start at Fess Parker Children’s Park at 8:00 a.m., where walker and runner participants enjoyed delicious catered green salads, water, fruit and coffee following the annual event. For year’s John Ireland, Barbara Ireland’s husband was the organizations best cheerleader. Sadly, he passed away last year and Barbara said “I did not know if I could do it without John, but everyone encouraged me to keep it going.” Each year the entire Ireland family show up to walk along with doctors Kass and Kugel from Santa Barbara Cancer Center and representatives from the Cancer Foundation of Santa Barbara to raise funds for Breast Cancer research. Paul Dargan’s Irish Pub on Ortega Street was a hub for Irish music and dancing, where they served their usual outstanding St. Pat’s dishes and beverages including Irish stew and corned beef served with perfectly poured Guinness. Willie Quinn former owner of a wonderful Irish restaurant on State Street, along with daughter Bridget and Sean Pierce performed at Dargan’s Pub as well as the Santa Inez Old Mission near Solvang, where their performance was followed by one of Willie & Trini Quinn’s fantastic Irish dinners. The Independent News Paper sponsored their annual Santa Barbara St. Pat’s Parade up State Street that attracted a crowd of marchers, and James Joyce Pub was pouring all day. The Kimpton Canary Hotel held a great party on their Rooftop where they served corned beef sandwiches and Irish brew. 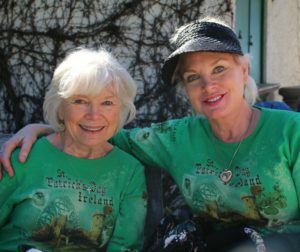 The Ensemble Theatre group presented an Irish inspired concert that locals enjoyed and all in all it was a grand weekend for wearin’ green and feelin’ Irish in Santa Barbara. Erin go Bragh! 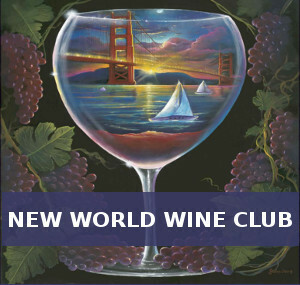 Bonnie Carroll has been a food/travel/lifestyle writer since 1983. She is the founder & publisher of Bonnie Carroll’s Life Bites News (www.lifebitesnews.com), award-winning blogger, does travel, entertainment and food reporting on local Radio/TV, and contributes to a variety of national travel/lifestyle publications. She is a member of IFWTWA and NATJA. Contact her at writebc@aol.com.